Senator Elizabeth Warren fights for middle- and working-class Americans. But she's part of the Top 1%. That's not including the three-story Victorian home in Cambridge, Mass., that she owns with her husband and fellow Harvard law professor, Bruce Mann. It's now assessed at $1.9 million, according to city property records. While she's not in the uppermost wealth echelon of Congress, she's not doing too badly either. Roll Call recently ranked her the 76th wealthiest out of 541 senators and representatives, based on her minimum net worth in 2013. Congressional rules require lawmakers to file annual disclosure reports. The values are given as a range. The senator declined to comment on her wealth, a spokesman said. The vast bulk of Warren's wealth is held in mutual funds and retirement accounts with TIAA-CREF, a financial services company that provides retirement services to universities. The couple's largest holdings are the ultra-safe TIAA-CREF Traditional fund, in which they each have at least $1 million. The fund offers three guarantees: you'll never lose your principal, you'll always get a minimum interest rate and you'll receive a lifetime income stream. 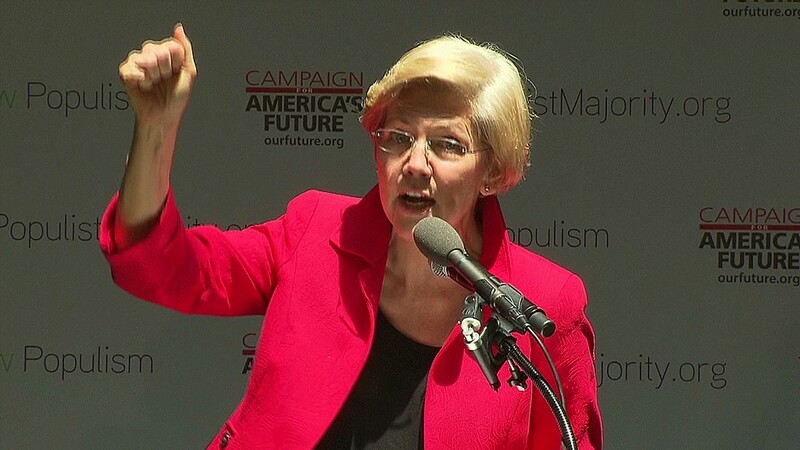 Warren and her husband also hold TIAA-CREF funds that invest in stocks, bonds and real estate, and they have between $367,000 and $830,000 in various banks, according to her 2013 financial disclosure document, the most recent available. In addition to her Senate salary of $174,000, Warren also got an advance of $525,000 to write "A Fighting Chance." The book chronicles Warren's rise from a struggling childhood to the Senate and her fight for middle class Americans. She also received $60,400 in royalties for previously published books on bankruptcy and credit. The couple's income has approached seven figures in recent years. They earned $981,000 in 2009 and $955,000 in 2010, according to tax returns she released while running for office. The returns did not provide many details on the source of the income. But some insight can be gleaned from a 2011 financial disclosure form, which shows Warren earned a salary of $430,000 from Harvard for 2010 and part of 2011. In 2011, the couple's total income was $616,000. Warren joined Harvard's faculty in 1995 and has authored nine books, including two national best sellers, according to her website. She also served as chair of the Congressional Oversight Panel for the Troubled Asset Relief Program (TARP), after the 2008 financial crisis. And she led the establishment of the federal Consumer Financial Protection Bureau. Related: Could Elizabeth Warren have made it in today's America? The income from her book deals differentiates her from many of her fellow lawmakers, said Viveca Novak, editorial and communications director at the Center for Responsive Politics, which analyzes the disclosure reports. She's also a little unusual in that all her holdings are in TIAA-CREF funds. Most other lawmakers invest in a wider array of stocks and funds. 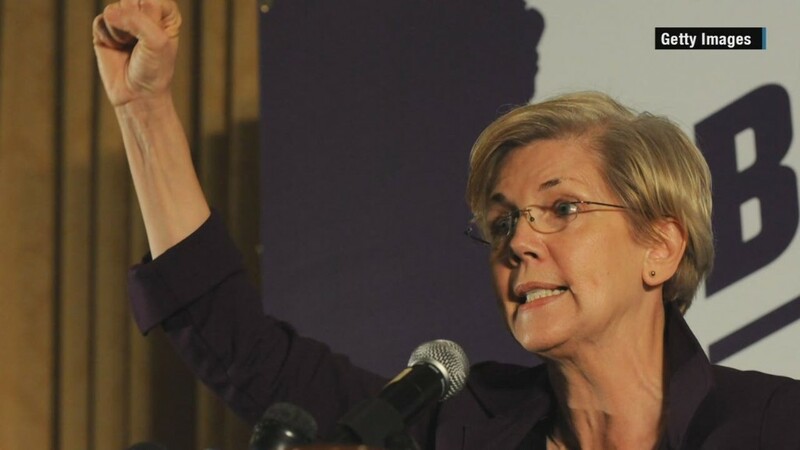 Following her own mantra of living debt-free, Warren lists no liabilities in 2013. In her disclosure report a year earlier, she listed an education loan from Harvard from 1996 for between $15,001 and $50,000. Warren has made a name for herself as a defender of Main Street America. She has fought for student loan reform to help struggling borrowers, for raising the minimum wage and for curbing Wall Street's power. "Big banks, powerful corporations and billionaires -- people who can afford to hire armies of lobbyists and lawyers -- have amassed more and more wealth," she wrote in a CNN op-ed last spring. "Meanwhile, the foundations of our once strong middle class have begun to crumble, and families have been caught in a terrible squeeze."